The Justice and Development Party (AK Party) Istanbul provincial organization applied Friday to the Istanbul provincial election board for a total recount of all votes cast in the province in the local elections. The recount of invalid votes is currently ongoing in all 39 districts of Istanbul, in addition to complete recount of all votes in Çatalca, Silivri and some parts of Kartal districts. "We have the opinion that the results will change when the count is wholly made," People's Alliance candidate AK Party's Binali Yıldırım told reporters Friday, saying that the gap between himself and the leading Nation Alliance candidate Republican People's Party's (CHP) Ekrem Imamoğlu has fallen from 29,000 votes to 18,000 votes. Responding to question on whether elections will be canceled in Istanbul, Yıldırım said: "We shouldn't elaborate on things that are out of our hands. We will respect the decision of the Supreme Election Council (YSK)." Later on Friday AK Party Deputy Chairman Ali Ihsan Yavuz said 13,969 additional votes have been corrected in favor of party's candidate Binali Yıldırım after recounts. Meanwhile, Imamoğlu said Friday that the count of 119,652 out of the total 318,000 invalid votes, or some two-fifth, has been concluded in 17 out of 39 districts of Istanbul. "There 198,000 invalid votes remaining. There have been complaints that it is taking too slow in some districts. It will take weeks if it continues like this. Then there were reports saying it has accelerated. My impression is that it should end this weekend," he told during an interview with broadcaster Fox TV. Meanwhile, reports emerged on Friday that the AK Party Büyükçekmece district organization applied to the Istanbul provincial election board for the cancellation of the elections in Istanbul over the irregular registration of voters in the district. However, AK Party Deputy Chairman Ali Ihsan Yavuz later said that the party only applied for the annulment of local elections in Istanbul's Büyükçekmece district, not in the whole province, but the provincial election board rejected the bid. 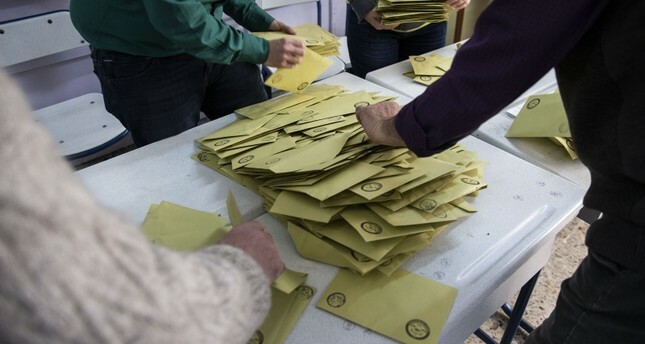 According to the AK Party Büyükçekmece district organization's petition released by the Demirören News Agency (DHA), the party alleged that 21,000 fake voters had been registered in the district during the process to update voters lists in the run-up to the elections. The petition noted that a district registry office personnel and another person, a namesake and relative of the district's longtime mayor Republican People's Party's (CHP) Hasan Akgün, had been arrested for irregularly registering voters by fabricating documents on behalf of Akgün. A judicial investigation launched by the Büyükçekmece Public Prosecutor's Office is ongoing, in addition to an administrative inquiry by the district governorate, it added. The application argued that all these points are on a scale that could affect the metropolitan mayor, district mayor and district assembly elections, and demanded the Büyükçekmece election board to cancel the elections in the province, which was rejected. Yavuz said what happened in Büyükçekmece is inexplicable. "I know that the district registry office director has been arrested just because of this. It looks very meaningful to me. This number cannot be underestimated, a number over 20,000 is being spoken of," Yavuz said.